Magnesium rich foods should be used in nearly every meal we consume. Our current society is plagued with magnesium deficiency affecting an estimated 80% of individuals in the United States today. The average standard diet consists of 175 mg/day of magnesium down from an average 500 mg/day representative of diets in the 1900’s. (18) Most people are just not consuming enough magnesium rich foods. When the majority of people don’t meet the recommended daily allowance (RDA) for an essential nutrient, the health consequences are severe and extremely prevalent today. The top 12 best food magnesium rich foods outlined in this article will allow you to replenish your magnesium levels and support your overall vitality and well-being. Magnesium plays a key role in intra-cellular health. It manages the electrical gradient within cells so that the nervous system is not easily excited. More than 300 enzymes alone require magnesium to perform their biological roles in tissue and organs (1). Most natural health experts agree that these levels are considerably lower than they should be and yet close to 80% of our population is not even getting this level. As a functional health practitioner, I will put many of my clients on 1-2 grams of magnesium each day…with no fear of an overdose and they respond amazingly well. Many will tell me that the magnesium dramatically improved their sleep quality, mood, memory and overall performance. Unlike our ancestors whose balance of calcium to magnesium levels were equal, our lifestyle habits today lead to an imbalance in this key electrical gradient. The result is a 10:1 calcium to magnesium ratio. This ratio disrupts the healthy balance of electrolytes within cells making nerves more susceptible to stress and pain perception. Declining magnesium levels in Western societies is dictated by a wide range of variables. Most common are chronic stress and poor dietary habits such as high sugar intake, over consumption of processed goods and too little intake of plant based nutrients found in the magnesium rich foods. Deficiency leads to a variety of health disturbances and diseases. Do you have any of the following top symptoms of magnesium deficiency? 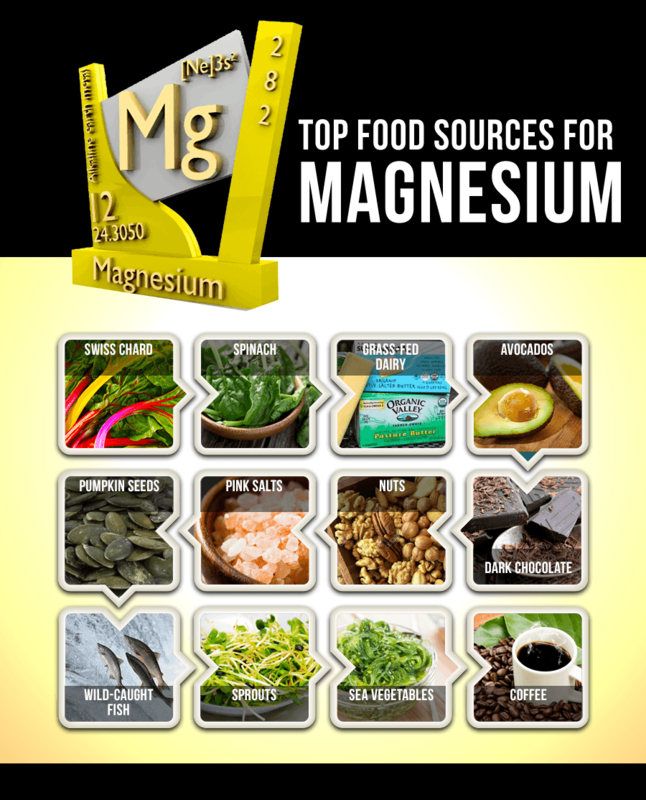 A staggering list of widespread diseases is associated with magnesium deficiency. Some of these include Alzheimer’s disease, type-2 diabetes, premenstrual syndrome, hypertension, cancer, multiple sclerosis, and chronic immune disorders. (2) Consuming magnesium rich foods can make a world of difference in these conditions. Consuming magnesium rich foods in your daily diet can help you reduce complications associated with metabolic and inflammatory issues. The biggest things that drain magnesium levels include blood sugar imbalances and chronic stress. If you notice you are under an increased amount of stress or have enjoyed a higher carbohydrate meal or dessert than look to consume more of these magnesium rich foods and consider adding in a good magnesium supplement which I discuss at the bottom of this article. Look to make at least 10 of these 12 magnesium rich foods staple parts of your daily nutrition plan. Spinach is a fiber rich food loaded with nutrients like folate, potassium and vitamin B6 and is one of the best green vegetable sources for magnesium. Adding spinach to your diet is also easily accomplished. Use it in salads, add it to smoothies, prepare it in fresh juices and incorporate in almost any dish like omelets. The anti-inflammatory benefits of spinach will encourage muscle relaxation and reduce symptoms of constipation (4). 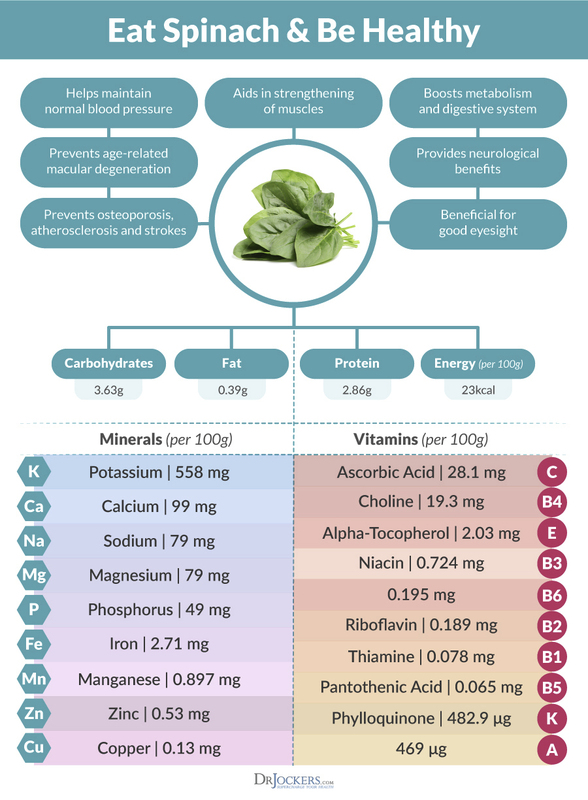 A study of men who ate spinach daily had higher levels of magnesium and a better calcium to magnesium ratio (25). Eating spinach regularly offers an effective and natural way to reduce the frequency of migraine headaches and limit their severity when they do occur. Adding up to another 100 mg/day of magnesium through dietary foods like spinach is associated with an 8% risk reduction in stroke because magnesium naturally lowers high blood pressure (26). The acidity from conventional dairy products causes magnesium and other minerals to leach from bone, joints and muscle tissue. Raw grass-fed dairy, however, supplements the body’s nutritional need for magnesium. 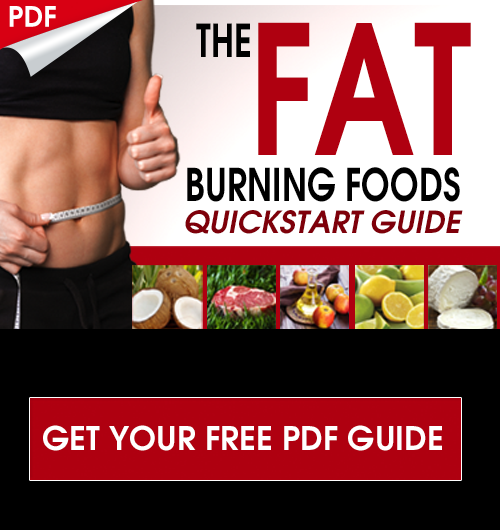 These sources also provide anti-inflammatory and sugar stabilizing nutrients like omega-3 fats and vitamin D.
If you experience lactose sensitivity or intolerance from consuming pasteurized grain-fed dairy milks and cheeses, switching to raw dairy may be a natural solution to overcoming this problem. Raw milks and cheeses contain higher concentrations of the enzymes need to digest lactose and absorb magnesium and other nutrients. If a lactose allergies persists, grass-fed ghee or clarified butter is also rich in magnesium and contains only traces of lactose. Magnesium is a natural muscle relaxant that stimulates stool movement in the bowels. Relieve symptoms of constipation and replenish your magnesium levels under times of high stress by snacking on pumpkin or chia seeds (8) which are excellent magnesium rich foods. Consider adding sprouted pumpkin seeds to salads, omelets and combine into dessert recipes. Try incorporating seaweeds like dulse, nori and kelp into your diet to boost your magnesium concentration and support immune defenses. Kelp is one of the top magnesium rich foods with 121 mg of magnesium in 100 grams of kelp. Sprinkle Bragg’s Organic Sea Kelp Delight Seasoning or Herbamare to enrich the flavor and nutrient profile of any dish. You can also enjoy Sea Snax which are a very tasty way to enjoy sea vegetables. Compared to table salt which is toxic and can inhibit the proper absorption of magnesium into the body, pink salts provide vital trace minerals for health. Examples are Himalayan pink salt and Redmond’s Real Salt mined from volcanic sea deposits. The trace minerals they contain are reflected in their natural pink hues. The purity of pink salts makes them a great dietary source of magnesium for improving electrolyte balance. They also contains nutrients like iodine, manganese, potassium and zinc. Consider adding a pinch of pink salt into your water following an intense workout or extended period of sweating to stabilize your electrolyte imbalance and prevent magnesium deficiency. Doing so will reduce symptoms of dehydration and prevent muscle spasms and fatigue. Consuming almonds in one study was associated with a reduction in blood sugar levels following a meal by 40 to 50% (9). Nut consumption has been found to reduce the occurrence of metabolic syndrome in 7% of patients following only one serving of nuts weekly (10). 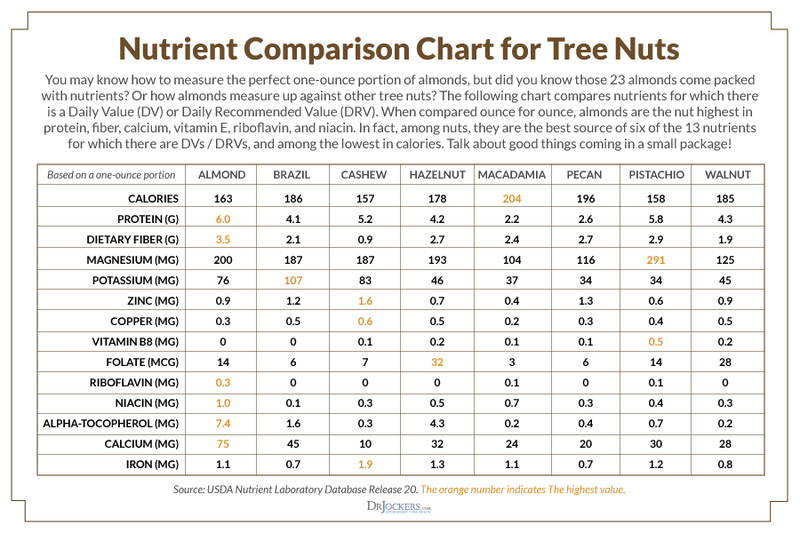 Brazil nuts are the highest source of magnesium and the trace mineral selenium. You might be surprised to know that unsweetened dark cocoa powder is one of the highest sources of magnesium rich foods. A single ounce of dark chocolate provides 95 mg or about 24% of the recommended daily value of magnesium (13). Just be sure to consume non-processed chocolate that is greater than 70% cacao for its full health benefits. The highest concentrations are in the raw cacao form but minimally processed dark chocolate is also good. Wild-caught fish like Wild Alaskan salmon, sardines and halibut offer about 80mg of magnesium in a 2.5 ounce serving which makes them one of the best magnesium rich foods. This food source has a deep nutrient profile because it is also a fantastic source of healthy fats, vitamin D and trace minerals. Consuming wild-caught fish low in toxicity improves neurological and cardiovascular function as well as protects against bone degeneration. With the prevalence of Alzheimer’s disease expected to reach 104 million by the year 2050, it is critical not to overlook the superfood powers of wild-caught, omega 3 rich fish (19). Weekly consumption can reduce the occurrence of cognitive decline and alleviate symptoms of dementia. Sprouts offer anti-carcinogenic properties and are packed with magnesium amongst a wide array of vitamins like A, B, C and micronutrients. Magnesium in sprouts provides health benefits for the skin, hair and slows the aging process (20). Choosing organic broccoli, cauliflower and kale sprouts is the best way to ensure you are receiving the greatest concentration of nutrients. Researchers have found that eating 5 servings of sprouts weekly provides the maximum impact to support a healthy gut, reduce inflammation,and detoxify the body of pollutants (21). Toss sprouts over salads, stir fry and add to wraps and slaw. Given our fast paced lifestyles, it is no surprise that coffee provides the number one source of antioxidants for Americans today. Drinking coffee in excess can deplete the body of its magnesium stores but when consumed in normal concentrations, coffee is one of the great magnesium rich foods. Limit your coffee intake to about 1-2 cups as long as you feel good with that. About 20% of the population are poor caffeine metabolizers and these individuals will have anxiety and irritability when consuming coffee and should avoid it. I recommend supplemental magnesium for the majority of my patients. Most people notice immediate results with better stress adaptation, energy, memory, improved bowel tone, mood, productivity and sleep quality. The key is to get the right form of magnesium. Magnesium L-threonate has been shown in the latest research to be the most effective form of magnesium for energy, sleep, brain function and stress adaptation. This is because the L-threonate form is able to cross the blood brain barrier and absorb into the neuron cells of the brain (25, 26, 27). Brain calm magnesium contains magnesium L-threonate along with other magnesium compounds designed to promote optimal magnesium support. Only magnesium L-threonate has the highest absorption rate of magnesium available for cells and may be the best form of a magnesium supplement that you could buy. My son and I are already doing the low lectin Plant Paradox program. Now on Dr Oz a red flag about contaminants on green leafy veggies and in spices. Living in a cold country with so many imports, we cannot throw caution to the wind. I use Shaklee’s blue soap for washing all fruits and veggies. Have recently been putting washed leafy greens in freezer to avoid wasting $ letting them wilt. Then frozen stuff into smoothies. But no more after this alert from the Oz show. 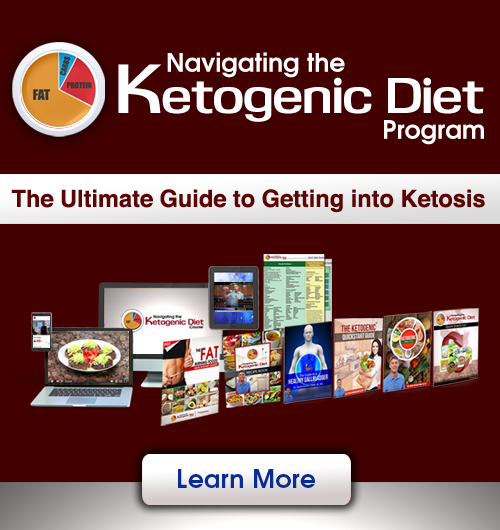 Doing the Keto portion of Dr Gundry’s food plan, but having reoccurrence of gut problems, never sure if the problem is IN the gut or the pelvic area which has sustained 6 abdominal surgeries over the decades. I know for a fact the power of the body to heal otherwise i would have left the planet years ago. But for the low lectin, it is also advised to eliminate anything with seeds. Not sure if I will continue with sprouts since they are also a source for bacterial contemn. Sometimes is seems like even with 5 decades of education, it is not easy to see progress. I do admire your very well put together modules of info. Easy access. Kudos to you. Moving forward on the path of world transfiguration. Is the Magnesium L-threonate synthetic? Wouldn’t a natural form like magnesium chloride flakes made into an oil (50/50 with distilled water) and applied topically be a better option? I have seen success with both oral and topical application! Technically, magnesium chloride is more natural. I am 36 and have AF due mitral valve rurge. And I am on Verapamil 40mg twice a day but I have been experienced a lot of side effects that I can’t bare any more. So, do you think magnesium will help my situation and what type of magnesium would you recommend. The better option would have been to get all your Mg. needs from food, but since that didn’t happen, the best option could be to take the flakes dermally, consume the L-threonate and perhaps take other forms to make up for the lifetime of deficiency, along with the suggested foods mentioned. If you grow your own food, then a good option would be to supplement chosen plants with the minerals you need. Check your text under grass fed butter. CLA is NOT conjugated linoleum acid. Please change to conjugated linoleic acid. Haha must have been an auto-correct moment! Thanks for pointing that out Sharron! 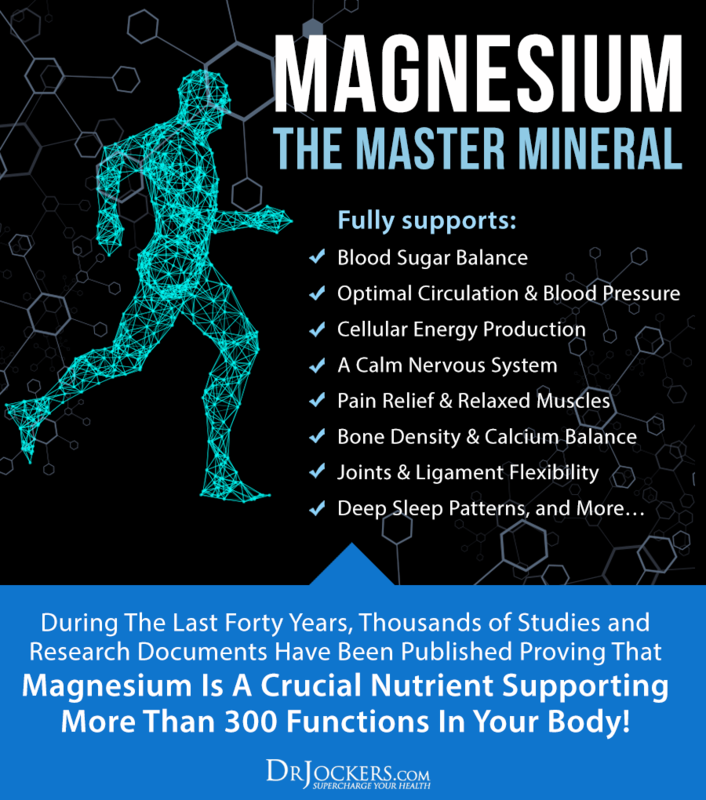 Yes, I always recommend additional supplementation for magnesium! Thanks so much for the tips on parasite cleansing!I have been suffering a great deal since 2015,I have done alot of research myself because of the lack of knowledge of medical doctors..but your advice has been the best yet!I just found your site late tonight but I know what you say is right..I will let you know as soon as success arrives..Thank you and God Bless!!! Great to hear you got the info you needed here! Be Blessed! I woukd really like to know what kind of Magnesium supplements do you recommend? I read the article in the above link, no mention of best form of Mg for afib. What would you recommend? Magnesium malate is great for Afib! 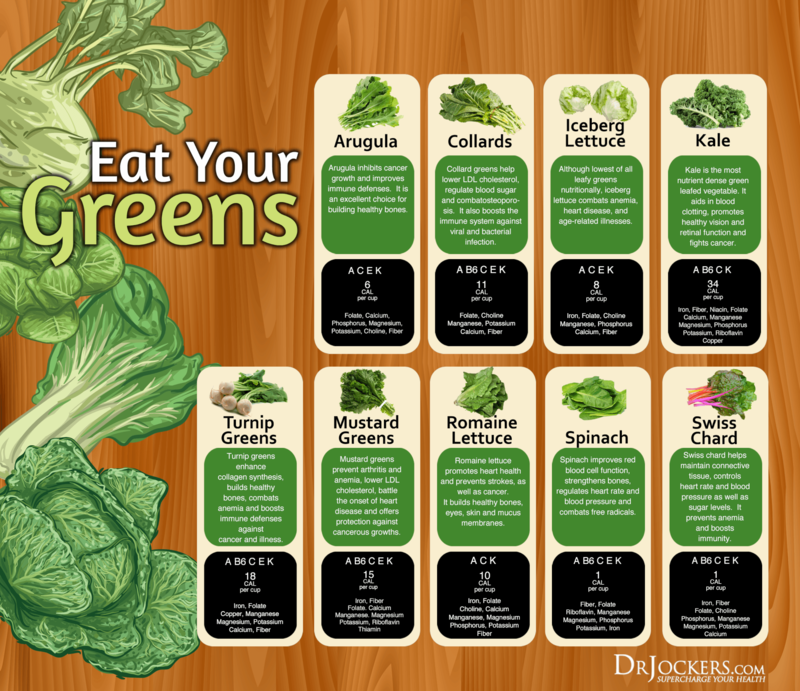 Please add ‘Micro-greens’ to your list of foods to eat. They are the most amazing of all. Hi Sumara, Thanks for sharing. Yes, microgreens are a rich source of many key nutrients! I protest your inclusion of dark chocolate, or any kind of chocolate. Chocolate not only is not particularly high in Mg, it is high in anti-nutrients. Look it up. Chocolate may have the benefits you describe, but it’s not about the Mg. Thanks for sharing Samia. Unless you have an intolerance or allergy to cacao, moderate intake of chocolate with a high cacao content can be included in a well balanced diet. It is even available with alternative sweeteners like stevia. Medical literature continues to identify anti-inflammatory and antioxidant properties of cacao found in dark chocolate. Hi Roberta, It seems like a mis-spelling but I can’t locate the word under coffee. I don’t love #4, but like it enough to eat it daily…part of healthy eating. But sadly, most foods recommended I do not care to eat, which adds to the stress of my life. I like dark chocolate, but would rather have a DQ strawberry milkshake…what is the quality of said shakes?